Peter Von Buskirk has been trying to change the way gamers aim at stuff since 2005 with his trackball controller concept, the latest version of which is currently attempting to raise $125,000 on Kickstarter. The device's core concept of taking a PlayStation-esque controller and replacing the right analog stick with a trackball has remained unchanged over the years. In a previous life, the controller was a PlayStation 2 peripheral known as the Reflex Control, but despite a strong presence at several E3s a 2007 pre-order initiative was unable to secure enough orders for the controller to be put into production. 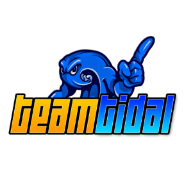 "I have always speculated that it was due to limited public awareness or a skeptical attitude toward a then-unusual pre-sale site," Von Buskirk told Joystiq. "Maybe if Kickstarter has existed then, it would have succeeded. You never know." Nowadays, the patent-pending prototype is a PC-only controller. Raised funds will be spent on engineering upgrades, creating a tool required for the controller's molded plastic bits, component acquisition and manufacturing, assembly and shipping costs. Check out the pitch above, as well as a video of the controller being used to play Diablo 3 after the break. 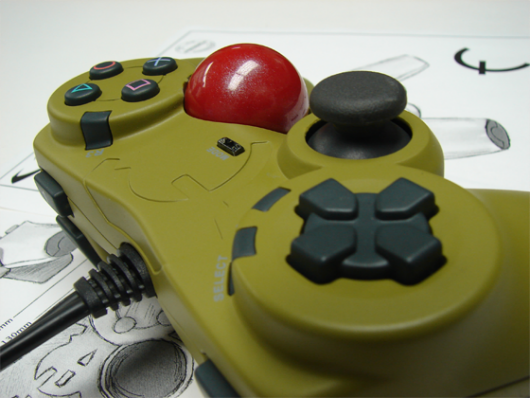 Trackball controller rolls onto Kickstarter originally appeared on Joystiq on Fri, 22 Jun 2012 04:15:00 EST. Please see our terms for use of feeds. Is it illegal to remove the orange tip from an airsoft gun? k1DBLITZ. Awesome Inc. theme. Theme images by enot-poloskun. Powered by Blogger.